Call Us Today for Estate Sale Services! Gabriel's Auctioneers/Appraisers & Estate Sales are a true professional organization with over 40 successful years in business in the Boston, MA area. We are a full service liquidation company. Our clients include individuals, families, estate executors, attorneys, trusts, collectors, and real estate agents. We are business liquidators and conduct on-site Estate Sales, antique estate auctions, real estate auctions, toy and toy train auctions, and antique collectibles. Call our business liquidators today! Our goal is to provide the highest standards in our various services. Our experienced staff will work directly with you to make the auction and Estate Sales function effectively. We hold a large number of auctions, estate sales, and real estate auctions each year; we do it all! We help buyers find some of the best antique collectibles. If you are looking for one of a kind items, we have beautiful pieces available from estates and auctions. We provide services for estate sales, antique auctions and internet auctions. You can find amazing pieces through our various auctions & real estate auctions. If you plan on selling your home, then you’ll need the help of Gabriel's Auctioneers/Appraisers. Whether you are interested in selling us your items or you want to buy new furnishings and décor from our consignment store, we can assist you throughout the entire process. We have expertise in the estate world! Retiring or downsizing requires getting rid of clutter. Gabriel's Auctioneers/Appraisers can take some of the clutter in your home off of your hands and sell them for you. First, we will map out your items and create a plan of action that will result in the more economical solution. If you plan on having an estate or moving sale, we can help you from start to finish. After all, we have more than 45 years of combined experience in the estate liquidation industry. From organizing and pricing to security and signage, we will help every step of the way. We are a family operated full service company with over 40 years in business providing our customers with experience, professionalism and a strong commitment to service. Our clients include individuals, families, estate executors, attorneys, trust departments, collectors and real estate agents to name a few. We Are Experienced Personal Property Appraisers! Our team provides personal property appraisals for your antiques. Individuals are always pleasantly surprised when they find out their antiques are worth a fair sum of money. Fine art and antiques can be worth a significant amount of money based on age, condition and rarity. Our experienced personal property appraisers also offer appraisals for rare, unique and antique items. There are certain principles that appraisers use to give a fair estimation on the value of personal property. Appraisals are only estimates of true market value. True market value can only be determined by finding the highest price someone will actually pay for the item. In most cases, auctioning the item is the best way to determine true market value. We offer personalized, caring service to accommodate our client's specific needs. Gabriel's assists individual sellers in converting their assets into cash, handling whole and partial estates or specific individual items. We take the worry out of your move! As personal property specialists, we offer a wide range of services including estate auctions, antique auctions & property appraisals. Our years of experience bring a wealth of resources associated with personal property appraisals, antiques, estate liquidations, auctions and real estate sales. Our services include verbal or written formal appraisal documents for estate and inheritance, equitable distribution to family members, "Fair Market" value, insurance and other valuations. Our personal property appraisers would be happy to work with you for all of your formal appraisal needs. We Have The Best Selection of Antique Collectibles in Boston, MA! 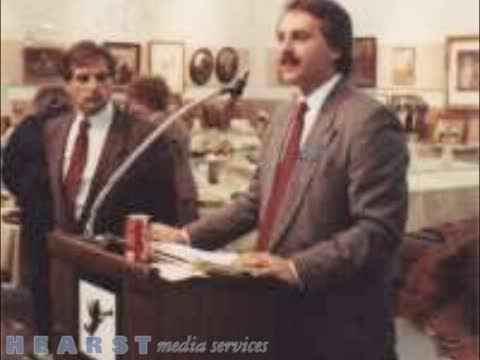 Gabriel's provides antique collectibles auctions and fine art auctions for our clients. We are specialized business liquidators for businesses going out of business. At Gabriel's Auctioneers/Appraisers & Estate Sales our auctions are second to none. Our experienced auctioneers will make sure your auction runs smoothly. We have the best antique collectibles in the Boston, MA area. Since 1974, conducting over 1000+ Estate and Consignment Auctions of antiques, fine art, collections and personal property. We have the best in fine antique and Victorian auctions, antique collectibles, real estate auctions, and antique estate auctions. Call us today to get your antique collectibles! We can assist you with onsite estate sales, antique estate auctions, real estate auctions, and more. When you need the services of professional business liquidators, we have you covered. We serve clients in Boston, MA and the surrounding areas. Our knowledgeable staff will understand your specific needs and help you every step of the way to make the process as convenient as possible. Contact us today if you need us to set up one or more antique estate auctions. If you need professional assistance with your antique estate auction needs, we have got you covered. We have years of experience providing clients in Boston, MA and the surrounding areas with estate services. Every client has their specific needs and we are equipped to help you with personalized services. We will help you every step of the way to ensure your antique estate auction is completed in a hassle-free way. Contact us today for more information. OUTRIGHT PURCHASES: Single, partial or entire contents of estates or homes. We specialize in antique estate auctions and real estate auctions in the Boston, MA area. INTERNET AUCTIONS: On-line and eBay Auction services provided. CLEAN-OUTS: Disposing of residual household contents at real estate auctions and complete "BROOM SWEEP" service. DONATIONS: Can be made to charitable organizations on your behalf. Let us work with you on your antique collectibles or other estate pieces. FUND RAISING: We can assist organizations in raising needed funds. Our staff can coordinate and organize every detail from beginning to end, thus making the sale as successful as possible. This can be achieved through an antique estate auction or a fine art auction, for example. ALL OF OUR SALES are prepared and conducted on the basis of our professional skills and knowledge. We will arrange sales at our gallery, on location, or at selected auction halls or facilities. All details such as inventory, packing, moving, photographing, identifying and researching, sales cataloging, arranging, tagging and cleaning, advertising and promotion, and the final settlement are handled by our experienced staff. Specializing in the liquidation of properties ranging from small business liquidations through large corporations. Our company offers a solid, proven method of merchandising and marketing all types of business assets through the auction market. Real Estate Auctions: We offer our clients an alternative to the standard method of marketing and selling real estate. The auction method is an effective tool in selling residual, commercial and industrial buildings, land and subdivisions. BROKERAGE: Providing Full-Service Real Estate Service in the Boston, MA area. REAL ESTATE FORECLOSURES: Assisting the legal and financial institutions in providing foreclosure real estate auction services. Fine art auction in Boston, MA! Looking for fine art in Boston, MA? No problem! At Gabriel's Auctioneers/Appraisers & Estate Sales, we have the fine art auction you need to attend to grab a fine piece of art at a price that you are willing to pay. So if you are in the Boston, MA area looking for a fine art auction, look no more, and rely on us! If you’re in the market for an auctioneer and personal property appraisal service that specializes in fine art auctions, antique collectibles, real estate auctions, antique estate auctions, and business liquidations in the Boston, MA area, give us a call at (781) 769-1600 or visit us online at www.gabrielsauctions.com. Our auctions are normally an openly held sale where merchandise and objects are presented for sale to the highest bidder. When our auctioneer yells "sold" and drops the mallet to the highest bidder, mutually the seller and the buyer have engaged in a legal required agreement. Call us today to find out more information on our auctions. Baker, Henredon, Maitland-Smith, High End Designer Pieces and Home Accessories. From Contemporary to Antiques and French Country to Primitive.